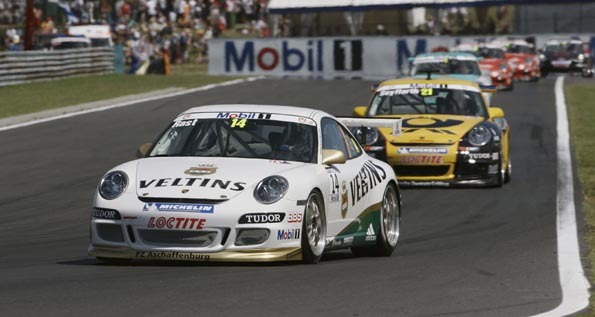 With his third win in succession, René Rast (Germany) underlined his title ambition in the Porsche Mobil 1 Supercup. 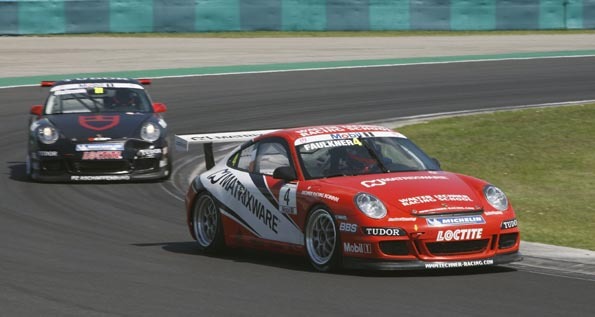 Driving the Porsche 911 GT3 Cup fielded by VELTINS MRS Racing, he secured a clear light to flag victory at the hot race on the Hungaroring on the outskirts of Budapest ahead of Jan Seyffarth (Germany) and points’ leader Jeroen Bleekemolen (Netherlands) after starting from pole position and also turned the fastest race lap. 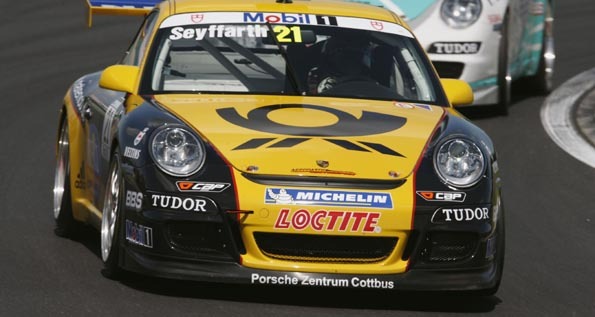 On the twisty Grand Prix circuit, the reigning Carrera Cup champion made an excellent start to hold onto his lead followed by guest start Jan Seyffarth (tolimit/Seyffarth Motorsport) and Jeroen Bleekemolen (Konrad Motorsport). Trailing the trio, Slovakia’s Stefan Rosina (Walter Lechner Racing School) passed his teammate Damien Faulkner from Ireland after getting away well at the start to bring home fourth place. Rosina, who had secured second place from the race on the Nürburgring, attempted several times to overtake the stalwart title defender, Bleekemolen, but to no avail. Nevertheless, he moved up the points’ table into third place to now put pressure on Patrick Huisman (SPS Performance). 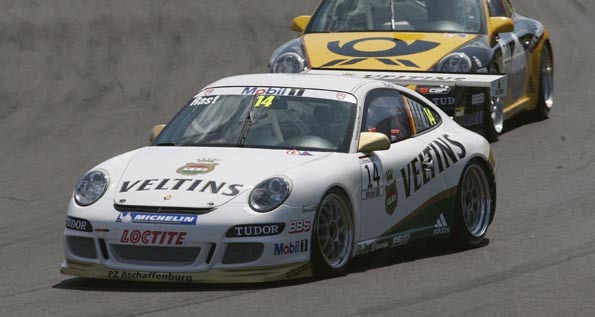 The Supercup record winner from the Netherlands received a stop-and-go penalty after jumping the start and finished eleventh. 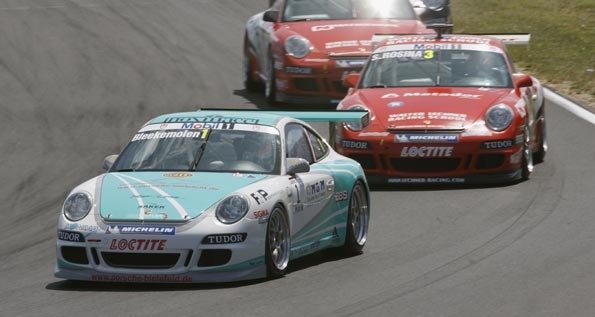 The surprise of the race was Supercup newcomer Siso Cunill. 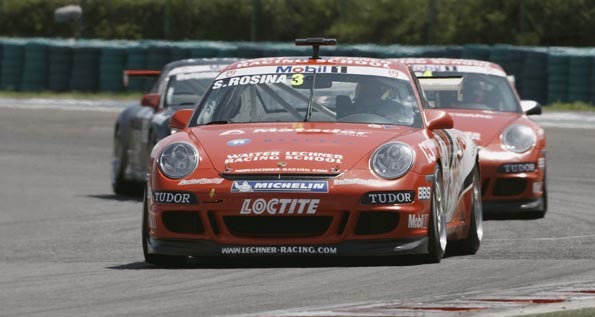 Driving for Konrad Motorsport, the Spaniard turned his strong drive in qualifying into his best performance to date in the series with sixth place. With this, he held much more experienced pilots at bay like the Austrian Norbert Siedler (VELTINS MRS Racing) and Jiri Janak (Konrad Motorsport) from the Czech Republic, who had to settle for seventh and eighth respectively. 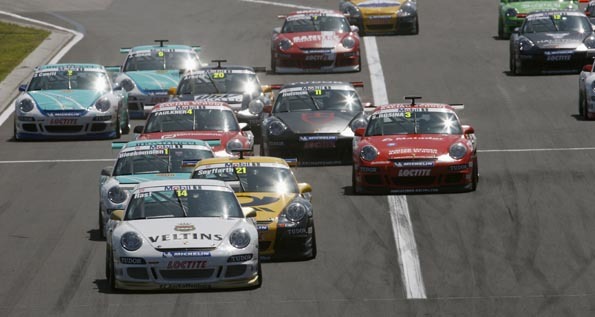 Round 9 on the Porsche Mobil 1 Supercup takes place on 23 August as support to the European Grand Prix in Valencia/Spain. « Porsche is the most attractive and liked brand in the USA. Like we needed anyone to tell us that!